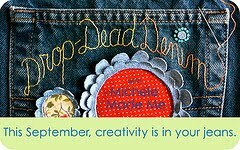 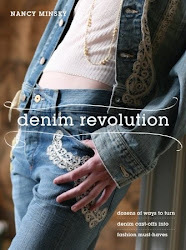 Michelemademe is devoting the month of September to denim crafts. 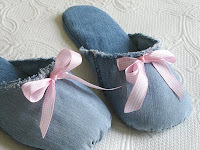 She and her crafting pals are sharing all kinds of creative ways to make everything desirable out of old denim -- from toys to jewerly. 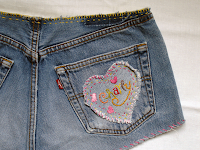 Visit her blog to follow all the fun and discover what can be re-cycled and up-cycled in the most charming and ingenious ways. 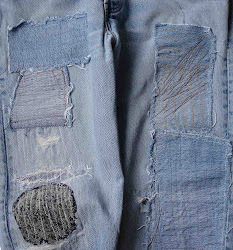 Michele is full of the unexpected which makes this month a most delightful denim month.